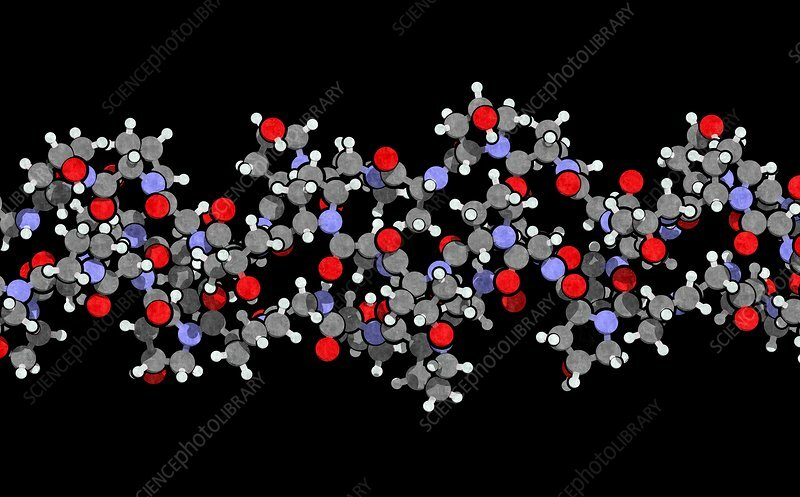 Collagen model protein, chemical structure. Essential component of skin, bone, hair, connective tissue, etc. Ball-and-stick model with conventional colour coding.